Pita with halloumi (grilled cheese)! 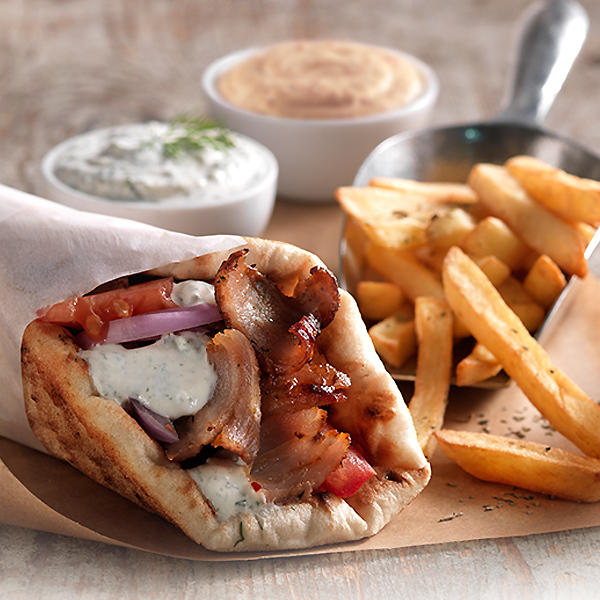 The vegetarian addition to our pita family. Is really popular in Greece and for good reason. 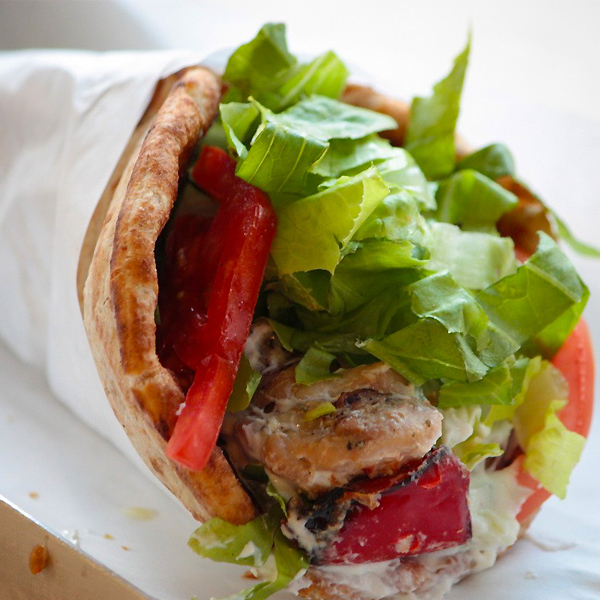 Its stuffed with grilled cheese, garnished with a cooling tzatziki sauce, tomato and lettuce wrapped in a delicious crispy pita and best of all? It tastes like heaven! Since the cheese has a high melting point, it can be easily fried or grilled. Its unusualness lies in the preparation of the cheese where no acid or acid-producing bacterium is required. 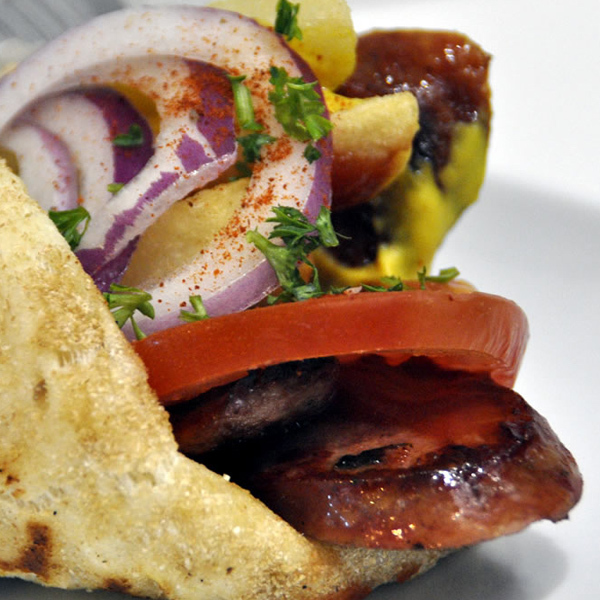 It is an essential part of a Cyprus Meze and many a times it is offered as an accompaniment with cold beer. The cheese also tastes lovely when grilled, pan-fried or thinly sliced on a salad.